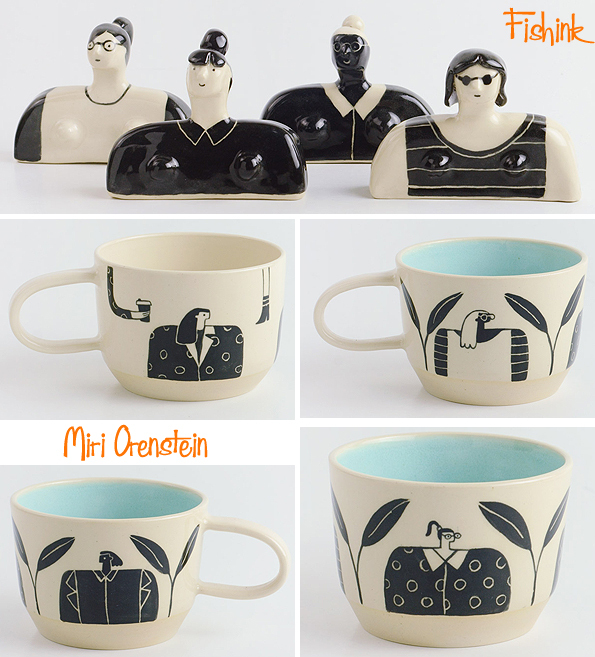 but also and more recently a Ceramist. Look at her range of beautiful ladies ! Originally from Haifa Israel. In 2010, Miri completed her photography studies at Wizo Design Academy. 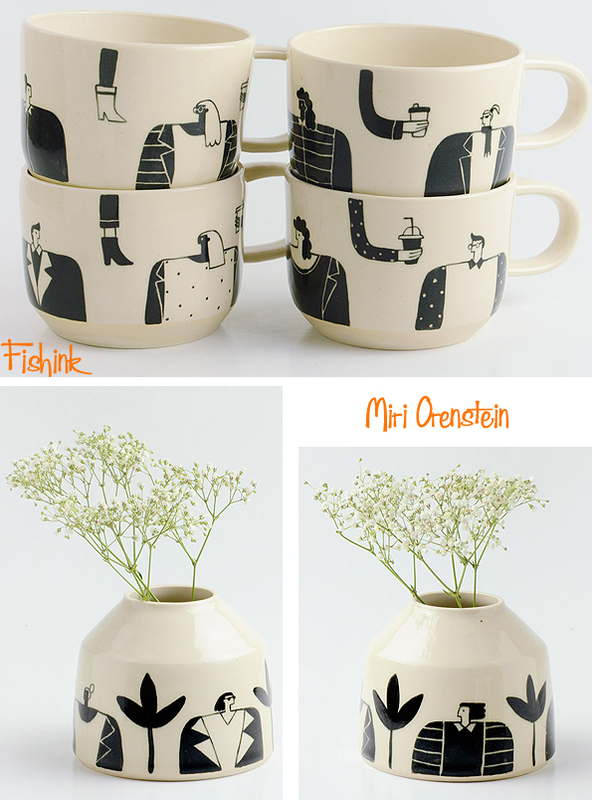 Four years later she received her degree in Visual Communication from Bezalel Academy of Art and Design in Jerusalem. Then she worked as a designer and Illustrator in a top branding studios in Tel Aviv. She has certainly developed some beautiful shapes and a striking style. 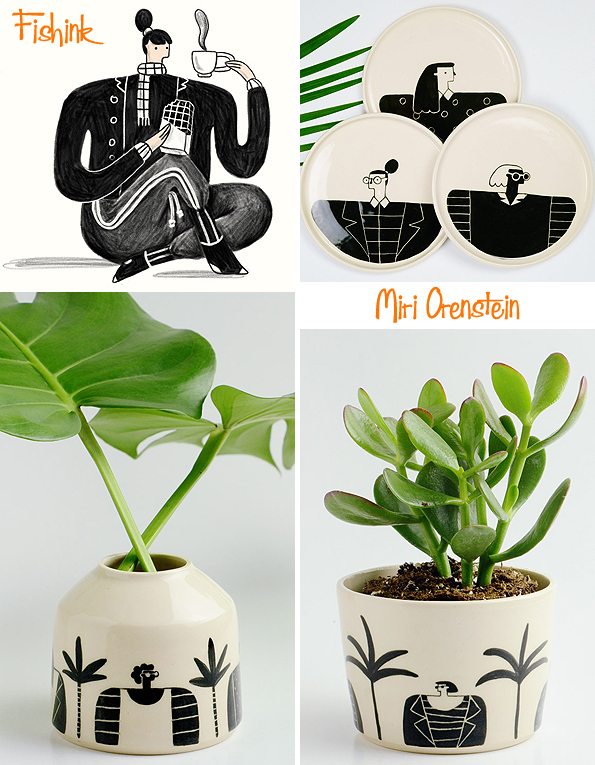 Add a touch of green, and her black and white pots simply zing! 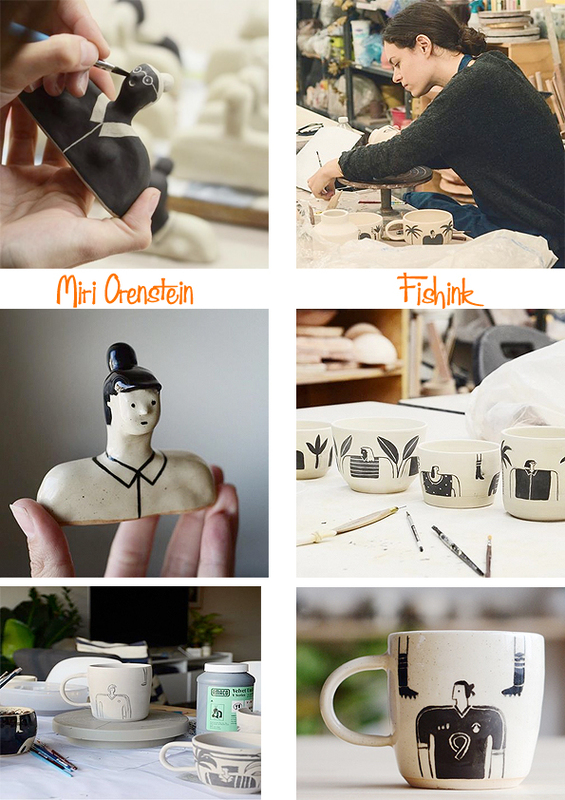 Great work Miri, look forward to seeing how your work develops in the future. 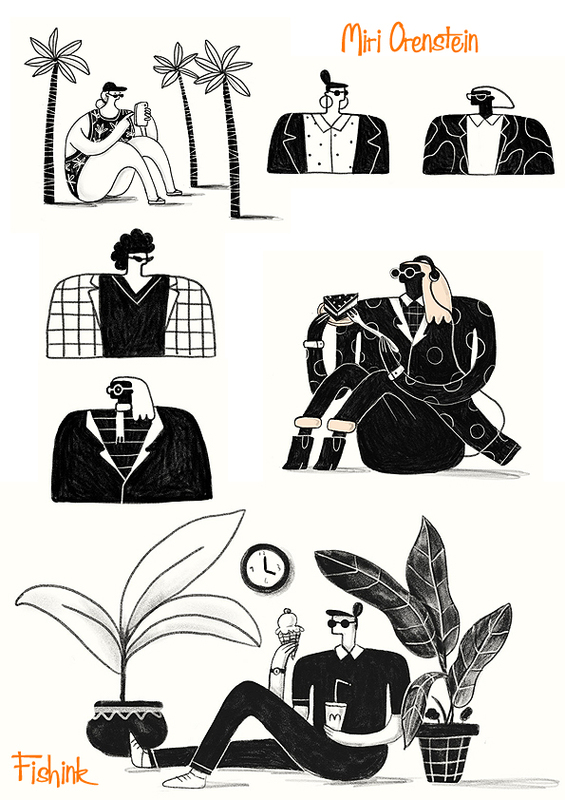 I love the bold use of monochrome, the strong line work, and the playful proportions of the figures. You have a great eye Laura.